Continuing on the Panther here. I've really gotten into this little tank. It was a pretty cool machine, especially for it's day. I'm still (!) 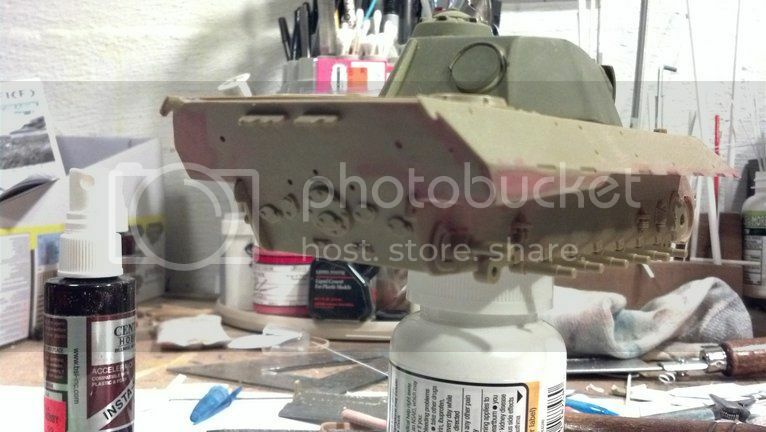 waiting for the primer I shot on the turret to dry enough to continue work on it. Instead I've moved my attention to the primary hull. 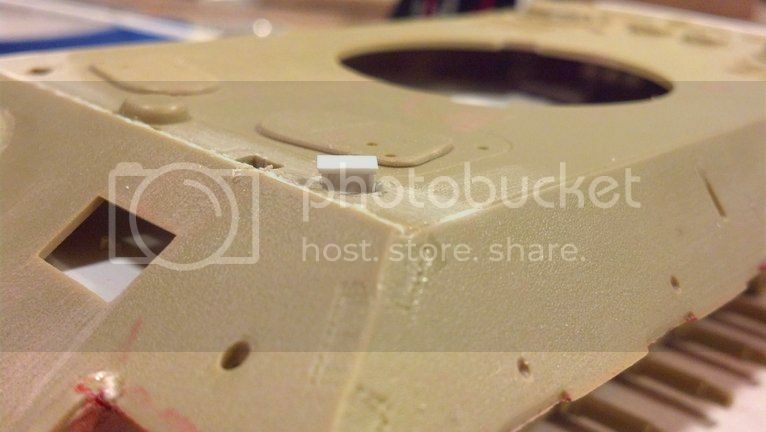 The Tamiya kit, when finished, would have giant holes underneath the sides of the hull, allowing you to basically see straight though the model! 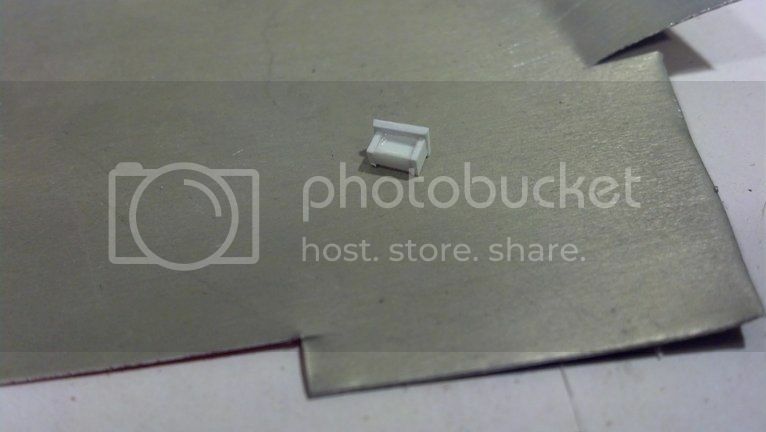 I filled these huge gaps with sheet styrene, pretty thick stuff (maybe .0625?) to limit warpage and provide structure. 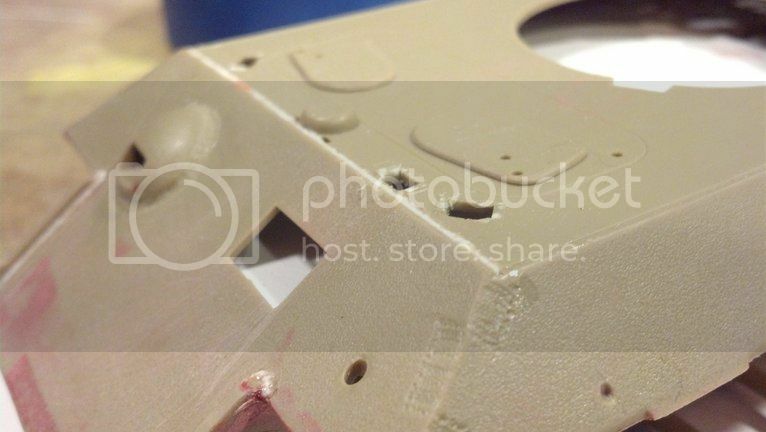 I filled some resulting low-spots and inconsistancies with putty and sanded them relatively smooth. I'm not too concerned with perfection in these areas, as they'll get gooped up with zimmerit and be hidden by the wheels and suspension anyway. 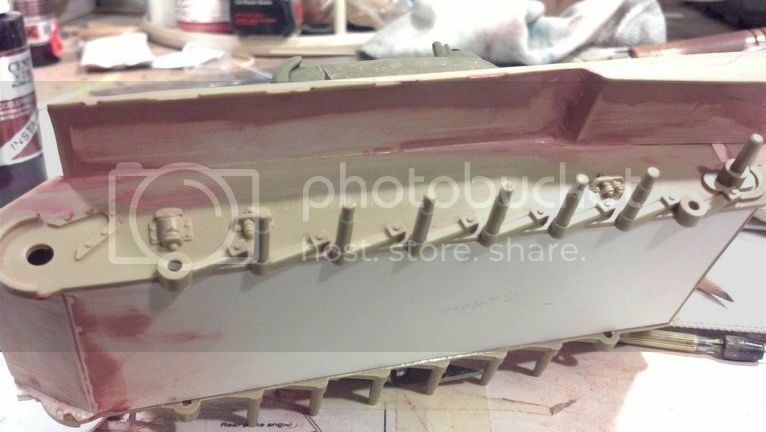 I've also put some work in on the transom area, which has presented some problems. 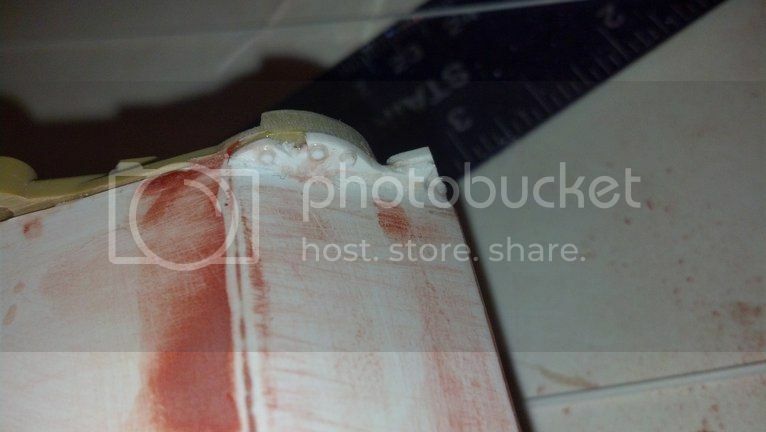 The alignment of the parts back there was atrocious, and the transom ended up being basically flush with the sides. 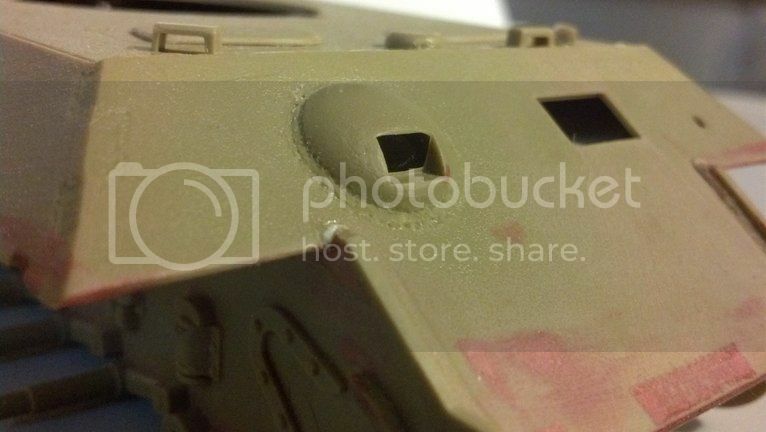 In my research I've seen that the Panther actually had little "wings" where the rear tow hooks were, extending past the storage bins. To remedy this I'll have to saw off the existing tow hooks and build a little extension on each side of the transom. 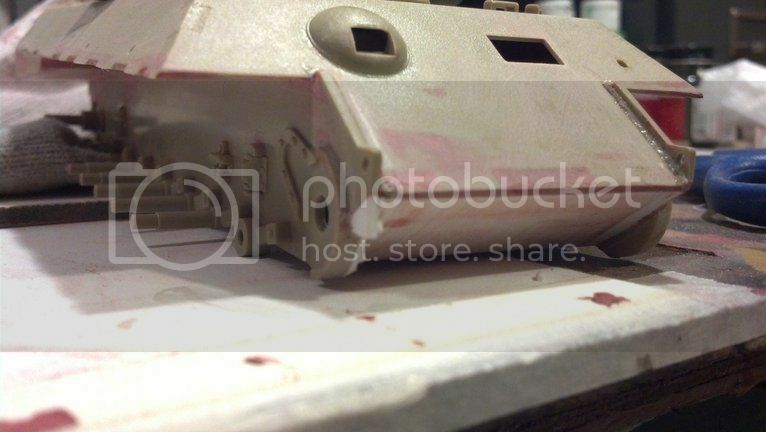 I also started in on detailing the frontend of the model. 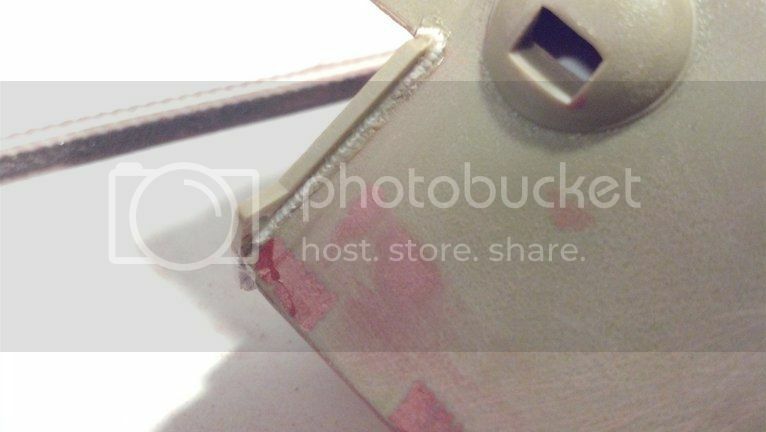 In some other research I've done I've seen that there was a gusset plate added to the inside edge of the transmission output housings on each side. 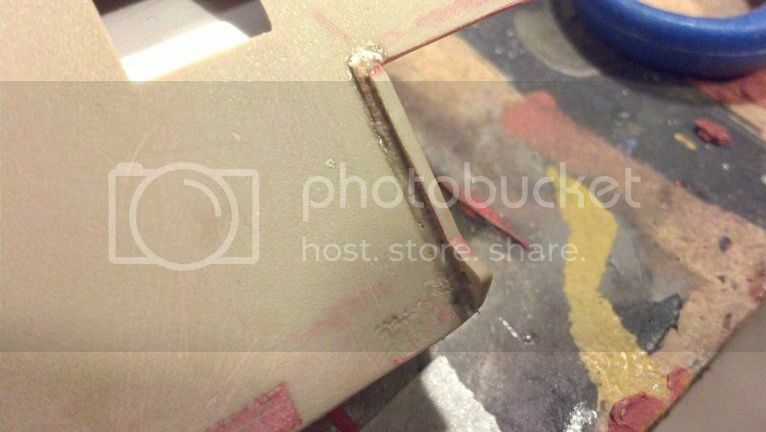 Also that the front tow hook area was not accurate on the kit. These were easy upgrades to make that should add alot to the finished model. 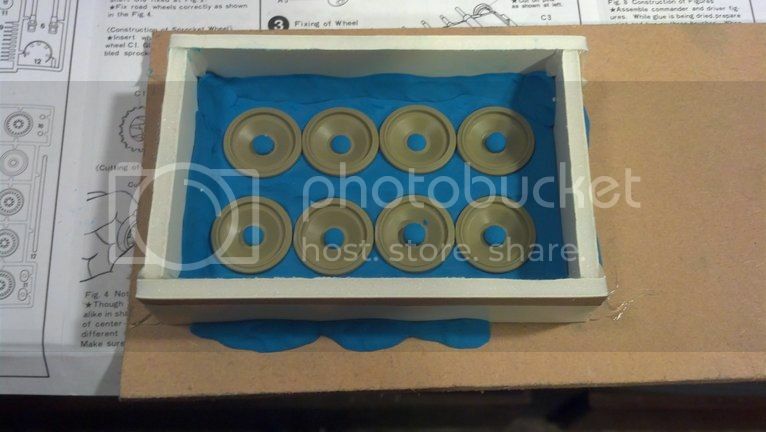 I also used some hexagonal rod to make some bolt heads that are on the inside of that gusset plate. Beyond that I worked on detailing some of the welds on the front portion of the transmission housings and glacis plate. Thats quite a lot of work you are putting into those. I am enjoying the thread very much. Those are the kinds of builds I enjoy. I am looking forward to see more progress.. Cool...thanks David! I'll take a look at your link and see if it helps. 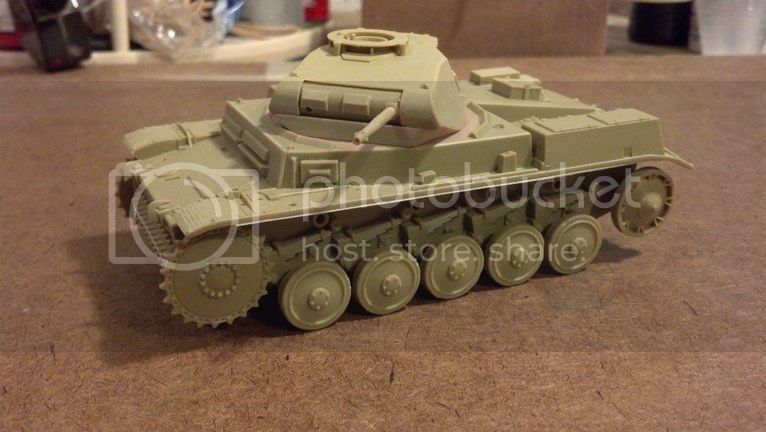 I have not been able to locate really good interior shots of the panzer iv. Thanks again and keep an eye out for updates. There are very very few good shots of Pz IV interiors. Took me almost a year to get mine done and is not 100% accurate. Yes, it seems there are very few good shots. It seems surprising to me, since the Pz. 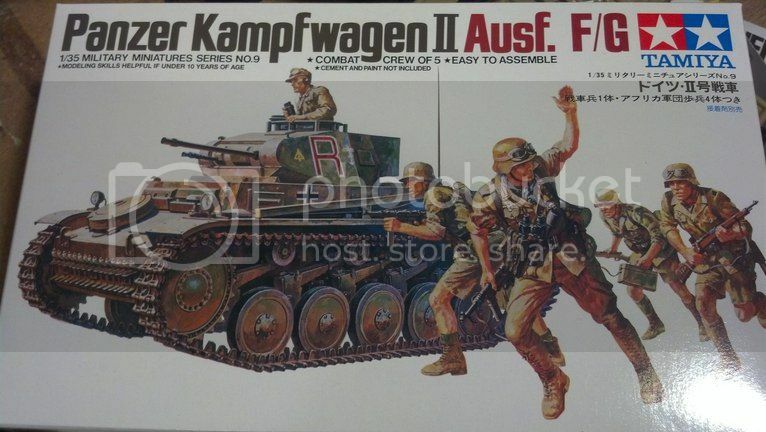 IV was the second most produced tank in the Nazi aresenal. I'm not concerning myself with absolute accuracy. Like you mentioned in your Greece diorama thread, the Pz. IV has large hatches, making a detailed interior almost a no-brainer. 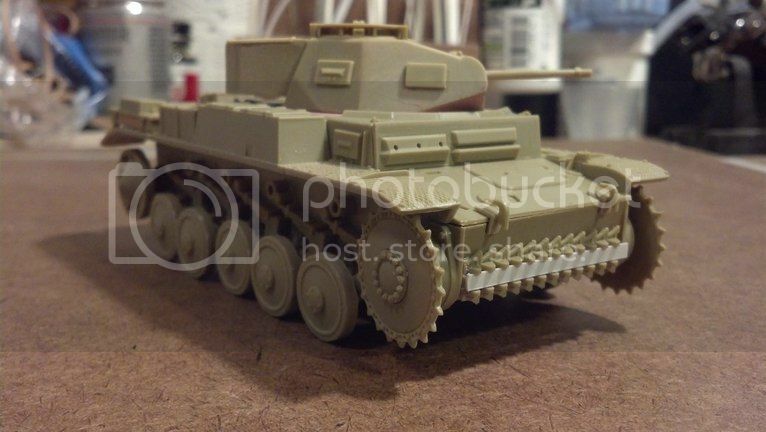 Plus, I've never modeled an "open" tank before, and they can look a little boring all closed up, especially German armor which tends to be so boxy and simple in shape anyway. The Dragon kit already offers so much detail, it's not alot of extra work to kind of put it over the edge. I'm sure I'll recieve some criticizm from nit-pickers about how this part isnt "right", or that part isnt accurate, but I'm just after a look. If it looks close to what the real-deal might have been then I'm happy. Thanks for the encouragement...it sounds like you and I enjoy the same types of challenges, and your modeling is amazing stuff. This is the part of these old kits I really enjoy....taking a a turd and polishing it to a shine...literally! Still lots to go in both these areas. I just cleaned my bench and fixin to hit the Bowflex and punching bag right now. Might post again in a few hours. Keep an eye out! It seems the front end of my Panther is going better than the back. 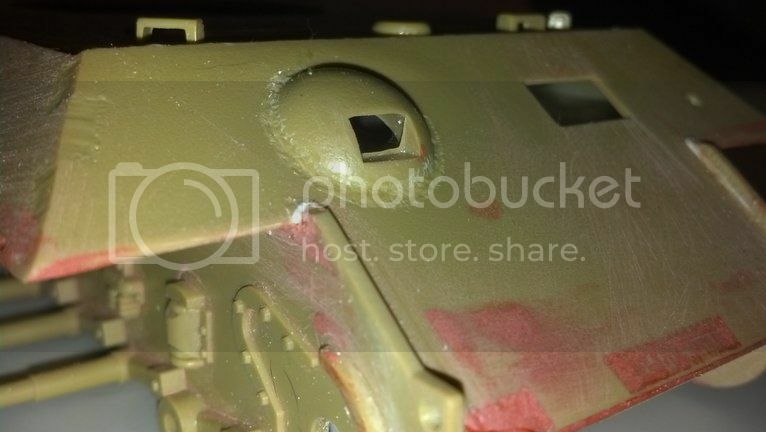 I removed the kit periscope guards from the driver and radio operator's positions on the main hull with a razor saw and sanded the areas smooth. 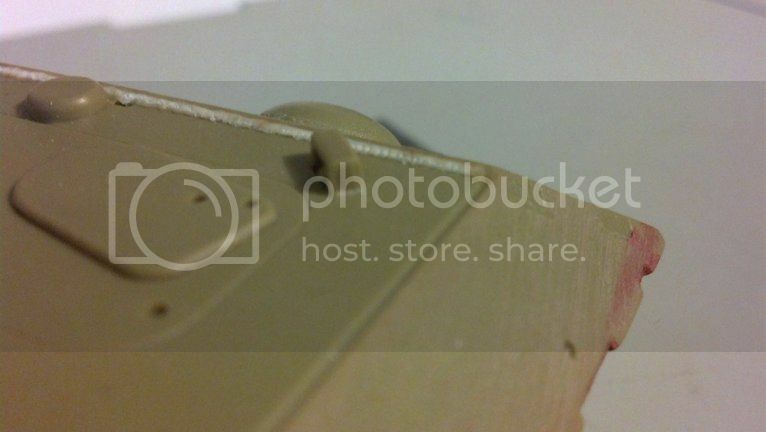 I then scratchbuilt a periscope viewing port out of some Evergreen I-beam and some strip plastic. 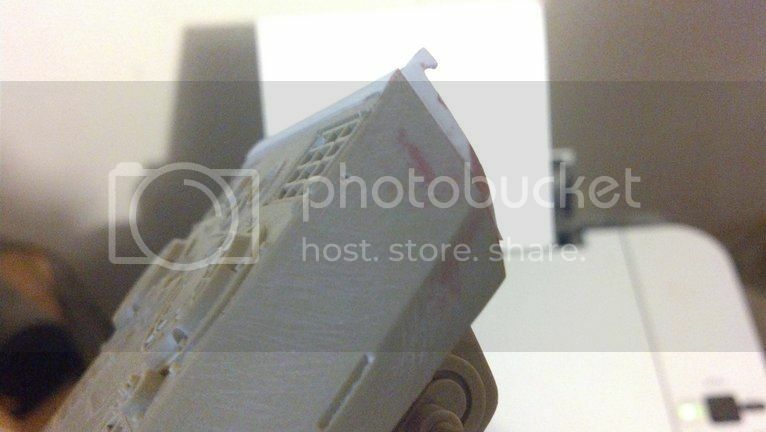 I attached a length of plastic rod to the bottom of my viewing port so that it would protrude down into the hull and I secured it at the bottom. 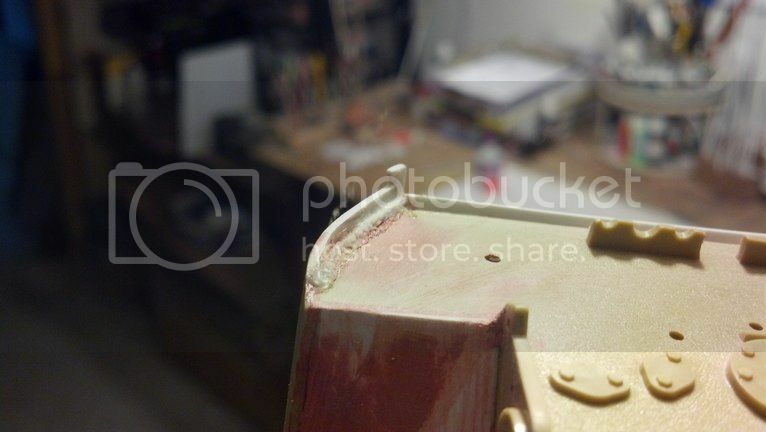 Next I made a new guard for the periscope using some scrap pieces of an old "FOR SALE" sign I had laying around. I've had this piece of metal (not sure if it's aluminum or just plain tin, but it cuts easy with scissors and bends nicely) for over 15 years! It has served me on many modeling endeavors. Not sure if you can still buy them made of metal, but if so, go get a couple! They are cheap and very easy to work with. 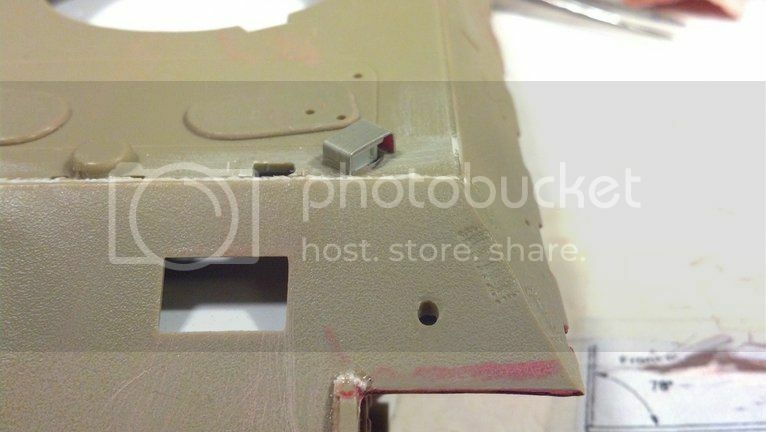 I secured it with CA, and I'll add some welds along each side using the liquid cement/plastic rod treatment. One down, 4 to go!! Good Job in updating this beasty. Its looking pretty nice. Thanks David. I've just been picking away on welds and little stuff. 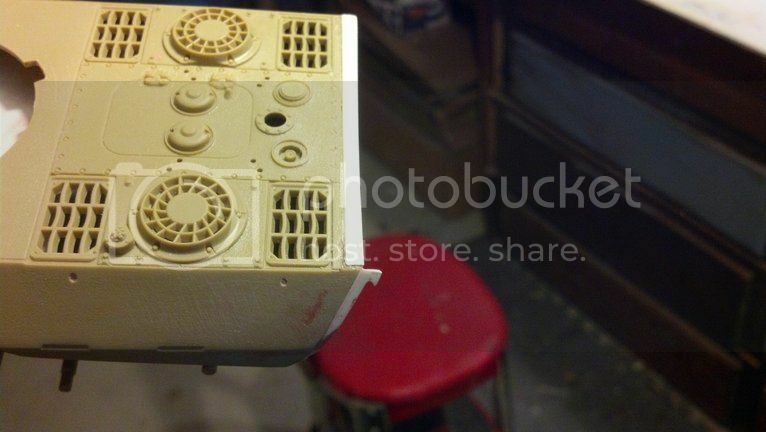 I also scored a little Tamiya Pz. II kit from Hobby Lobby for a paltry $14.99, so I've been tinkering with that too. 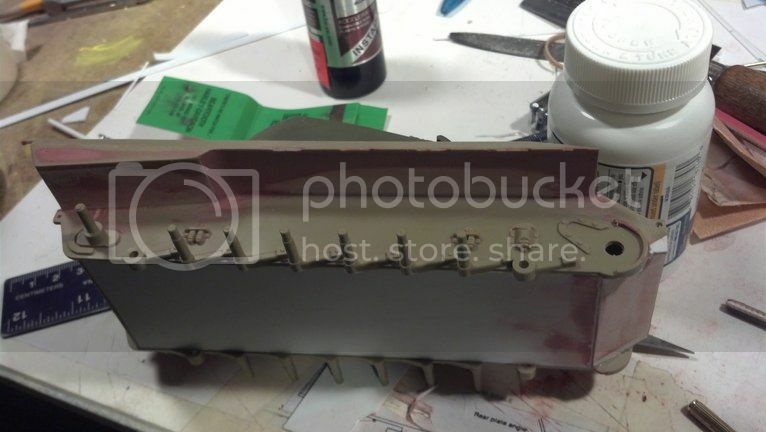 They also had Alumilite casting kits at Hobby Lobby, so thats how I'll get my "missing" roadwheels that this kit lacks. I had hoped to avoid adding any cost, but a detail like that is just impossible to overlook. I havent messed with my Pz. IV for awhile...the Panther has kinda consumed me. I also got my 1/16 T-34/76 in the mail yesterday, so I'll post pics of that soon. 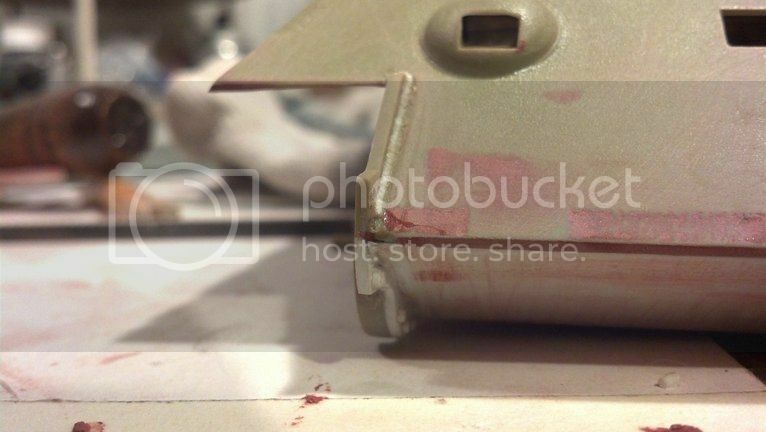 I figured I'd just edit this post with photos of my new little PzKpfw IIF here. It's gonna be a quick little build, in fact most of the assembly was complete tonight. Not sure what I'm gonna do with it. Been thinking of doing an Afrika Corps version, but I havent decided. 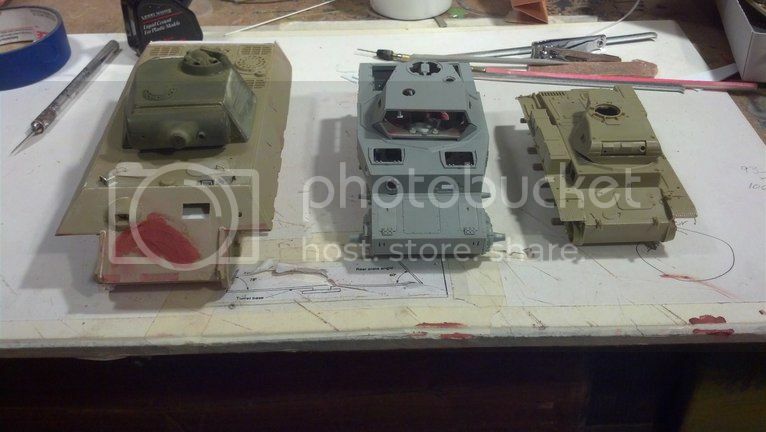 I dont know if this Tamiya kit is grossly under scale or if there really was such a drastic size difference between these 3 tanks. 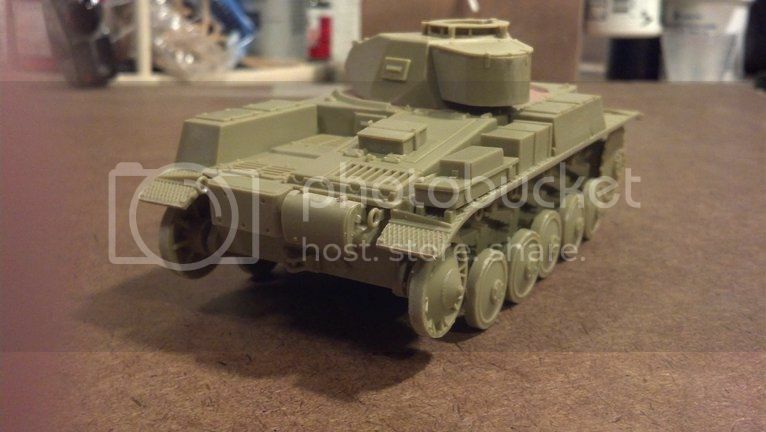 The Tamiya Panther and the Dragon PzKpfw IV are both fairly close. 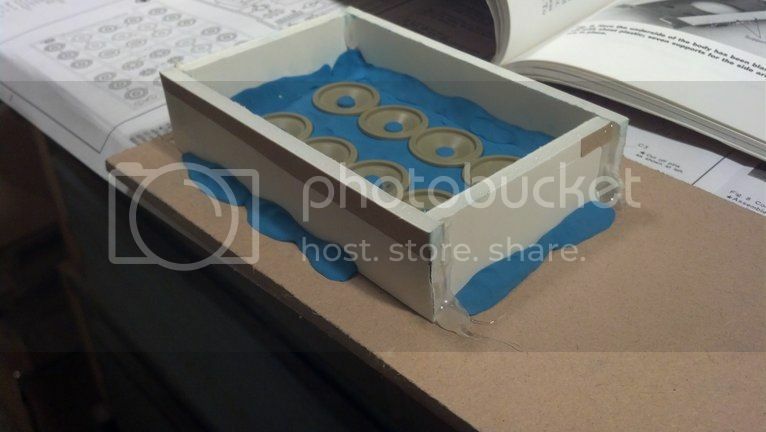 I also got started on casting a mold for my Panther road wheels. Hope it works! It's been awhile since I've done any resin casting, and I cant say I've had great success with it anyway. The roadwheels (part C6) are very simple and devoid of detail though, so maybe it'll go smoothly. 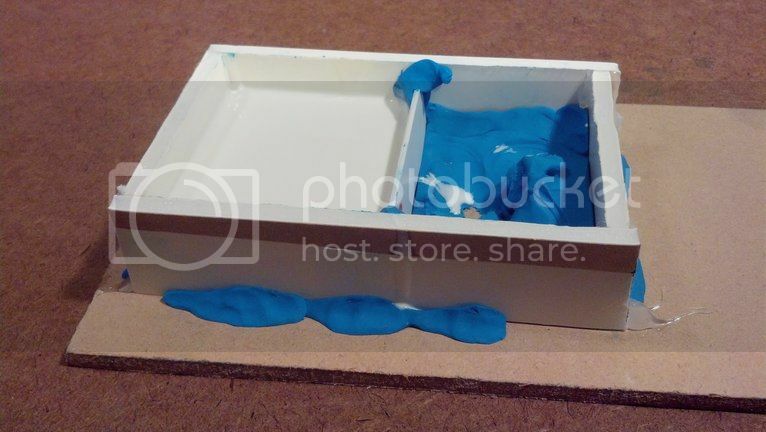 I realized halfway through mixing the RTV that I just wasnt going to have enough to do a 2-part mold, so I made a quick decision and cut my mold box in 2 with a plastic divider. I had hoped to cast all 8 wheels in one shot, but I'll have to make at least 2 pours. Last edited by TankDan; 01-26-2013 at 02:24 AM.